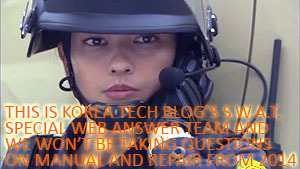 Korea Tech BLog is providing the most extensive English guide to ipTime wireless routers – whose firmware menus are all in native Korean with only a couple of top models in English from 2014 – that we cannot keep updating all English capture screens, thus will provide the latest here and will be updated perhaps every other Season . this term should keep novices sufficiently up-to-date, with menu hierarchies they are accustomed to . [ ENGLISH FIRMWARE RECORD ] supplied by ipTime with selective (meaning NOT all) firmwares offered with English on each models, but the latest perhaps not reflected here yet . ( October 18 2015 Update ) interesting, as ipTime has chosen to delete English firmwares on A2004NS AND PLUS listed above, so would mean they will be interested in providing English firmwares for few of their top models only at a given time . English firmwares are available on A3004 A3004NS A5004NS A6004NS models on firmware their versions 9.72 9.78 9.80 9.82 9.84 . But on your screens are in English. Is it possible to setup language or download somewhere english firmware? I’ve got ipTIME N604V, upgraded to the last FW, but it’s only in Korean. I have an ipTime n704bcm router. I’m trying to set-up a static route, but have been unable so far to find the place to do so. All the set up menus are in Korean. I purchased the iptime wifi n100 mini wifi adapter. It said it is compatiable with Mac computers and comes with a cd to install. However, the cd is a mini cd and those does work in Macbook Pros. Is there somewhere I can download the cd software? Having a hard time as everything is in Korean..
Is there english firmware available for A2004NS Plus. I am not able to find one. If possible can you send the link to direct download and update router? can you provide me the iptime N6 firmware in english or form where can i download the firmware for this.